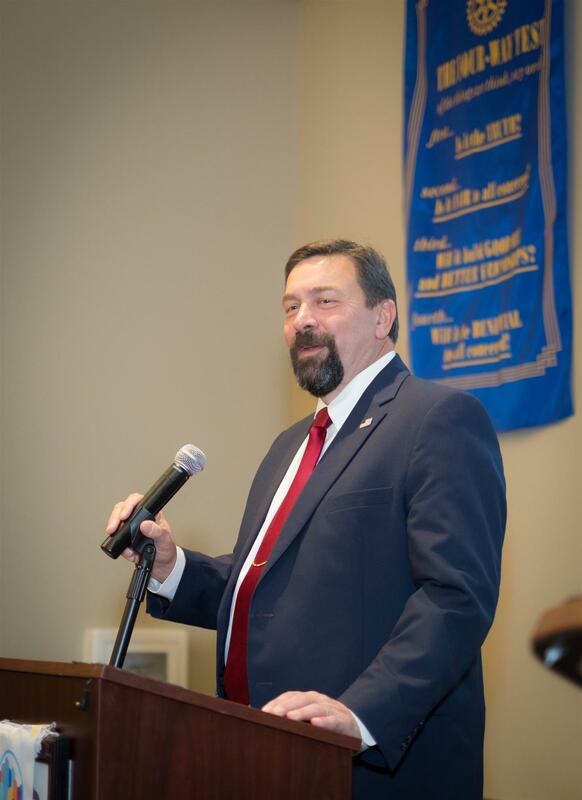 January 16, 2019 Today we are honored to host RCFC member, Chancellor, and President of Colorado State University, Dr. Anthony A. Frank, to deliver his annual "State of the University" address. Tony will be introduced by Kirvin Knox and will be joined by a number of CSU officials. 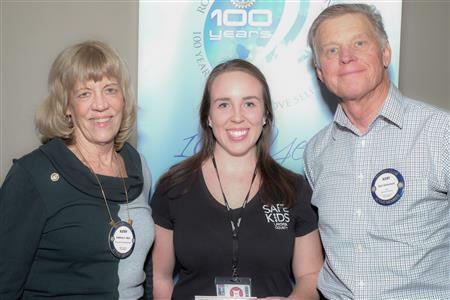 This event continues a Rotary Club of Fort Collins tradition that dates back to the administration of William E. Morgan, also a former member of our club who served as Colorado A&M / Colorado State University President from 1949 to 1969. Tony Frank is the 14th president of Colorado State University, one of the nation’s leading public land-grant research universities with nearly 33,000 students and more than $370 million in annual research activity. Since his appointment to the presidency in 2008, he has overseen a period of record fund-raising and enrollment, rising graduation rates, increased diversity, unprecedented research support, and more than $1.5 billion in campus infrastructure improvements. President Frank was named to the dual role of Chancellor of the Colorado State University System in 2015, and he will leave the Fort Collins campus in July 2019 to become full-time chancellor of the CSU System. President Frank earned his undergraduate degree in biology from Wartburg College, followed by a Doctor of Veterinary Medicine degree from the University of Illinois, and a Ph.D. and residences in pathology and toxicology at Purdue. Prior to his appointment as CSU’s president, he served as the University’s provost and executive vice president, vice president for research, chairman of the Pathology Department, and Associate Dean for Research in the College of Veterinary Medicine and Biomedical Sciences. Dr. Frank serves on a number of state and national boards including the University Research Alliance; National Renewable Energy Laboratory External Advisory Council; the NCAA Division I Board of Directors; the National Western Stock Show Association Board of Directors; Board of Managers, College Football Playoff; the Boettcher Foundation Board of Directors; the Denver Metro Chamber Board of Directors; and previously the Association of Public & Land Grant Universities Commission on International Initiatives. Professional and personal honors include induction into the Illinois and Colorado 4-H Halls of Fame, the Carl J. Norden Distinguished Teaching Award at both CSU and Oregon State, and being named the 2018 National Western Stock Show Citizen of the West. 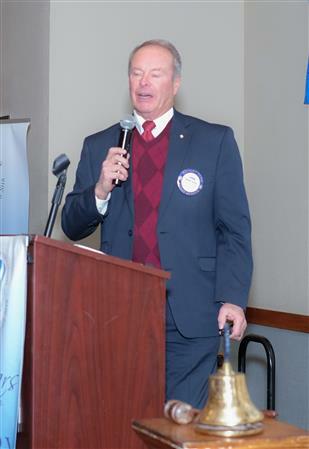 Don Eversole asked interested members to join the newly established Peace Fellowship. Remember—peace leads to solutions.